Our precision engineered range of Intensive Sand Mixers finds applications in engineering industry. 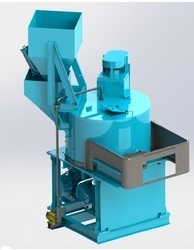 These are manufactured using high grade components and are ideal for heavy-duty mixing. Our mixers are offered in different capacities to suit the varied requirements of the clients. Abirami’s heavy duty sand muller are designed to suit modern requirements of sand preparation with increased rotary speed and adjustable pressure which creates beat condition for all types of sand. Reckoned as one of the involved companies of the industry, we are extremely immersed in providing Sand Mixer Muller. We are one of the renowned exporter of Medical Sterilizer Equipment, Ceramic Filters, Transmission Line Towers, Tundish Board, Floor Rammer, Railway Electrification Structures, Ferro Chrome, Resin, Crucibles and more. These products are available in various specifications and can be customized as required by the clients. We are a most trusted name among the topmost companies in this business, involved in offering Sand Mix Muller. 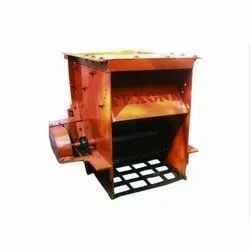 Our clients can avail from us high standard intensive sand mixers, which come with strong and durable body and structure, thus making them well suitable for heavy-duty mixing Additionally, our sand mixers come with various carrying capacity which ranges from 250 Kg to 1000 Kg.